Tails will be waggin’ in Atascosa County when the state-of-the-art animal shelter sitting on five acres just northwest of Jourdanton opens in August. 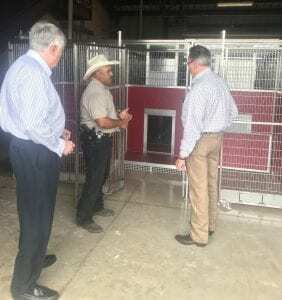 The focus on animal welfare shines through every room of the new 12,000 square foot facility servicing Atascosa County and surrounding areas. Recently Lt. Henry Dominguez provided a sneak peek to Judge Bob Hurley, Mayor Travis Hall and the Pleasanton Express. Both Hurley and Dominguez as well as Sheriff David Soward, county commissioners and leaders have been instrumental in bringing this project to fruition. Dominguez and Hurley have partnered to contribute innovative components with economy in mind to make this state of the art animal facility one that will last for many years providing a great value to the community. Before the first line was ever drawn on paper, Lt. Dominguez said there was extensive research done to see if there was a need in the county. Dominguez credits progressive county leaders for undertaking a needs assessment survey and speaking directly to citizens to determine if a majority believed a new animal control facility was needed. The answer was yes. Economy of construction and long term strategic planning have been a priority for this project helping to build a first rate facility. 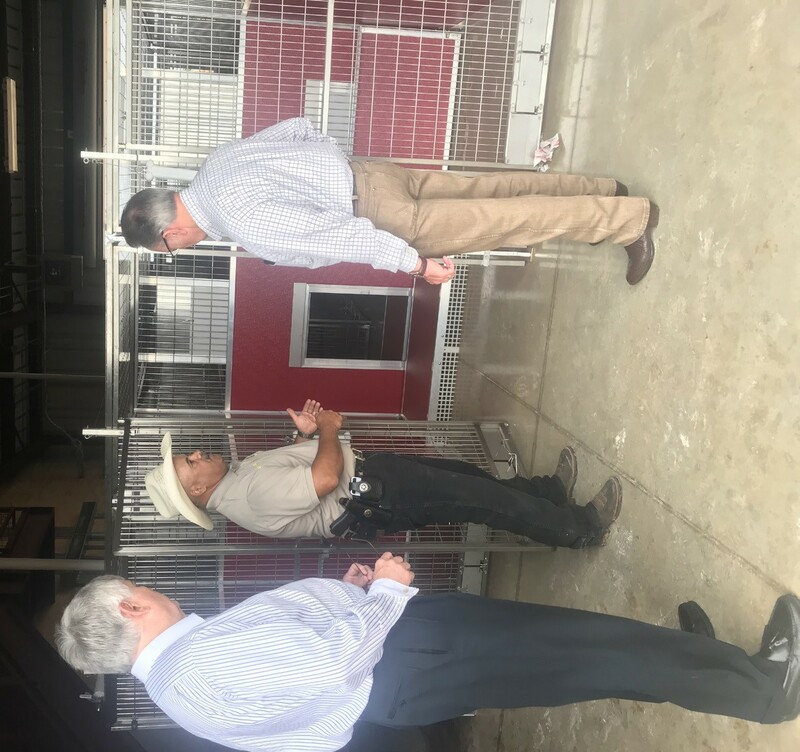 Judge Bob Hurley and Lt. Henry Dominguez separately visited some of the best animal control facilities in Texas to learn how to do it right. They received some of their most valuable information from asking the experts, “If you could do one thing differently, what would you do?” Lt. Dominguez emphasizes that the architecture of the facility has built into it the science behind animal shelters. The systems built for the ACAC are rare for animal shelters. Dominguez noted that one of the unique features of this building is the siding system.He said the system is metal with eight inches of foam compacted inside that is waterproof, fireproof, rodent resistant and sound “deafening”. Please follow the Atascosa County Animal Control Facebook page to watch for regular construction and progress updates. Plan to bring your whole family to the grand opening sometime in August. Also, turn to page 4A in today’s Pleasanton Express to read a column by Lt. Dominguez regarding ACAC. The proud achievement of our soon to be opened Atascosa County Animal Control facility will aid the citizens by removing and humanely caring for unwanted animals while providing humane treatment of the animals, possibility for adoption and also education for present and future pet owners. 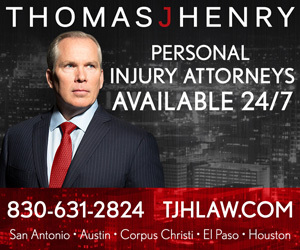 Accolades and appreciation go to everyone who foresaw the need and helped bring the facility to fruition, with special recognition to the Atascosa County Commissioners Court who approved the vision of its citizens, and Judge Robert Hurley, and Lt. Henry Dominguez for their thorough research.